The 2018 Whitebeam cookbook is now available! From the winter season 2017-18, our latest chalet cookbook includes many of the recipes you enjoyed if you stayed with us. Canapés such as ‘Onion Bhajis’, ‘Cheese Baked Mushrooms’ and ‘Basil and Cherry Tomato Bites’. Starters like the popular ‘Crispy Noodle Duck Salad’, through to your favourite mains, desserts and afternoon tea cakes. We’ve even included a section for dietary dishes. The cookbook is yours for £10 including delivery. Just email Sarah to request your copy. 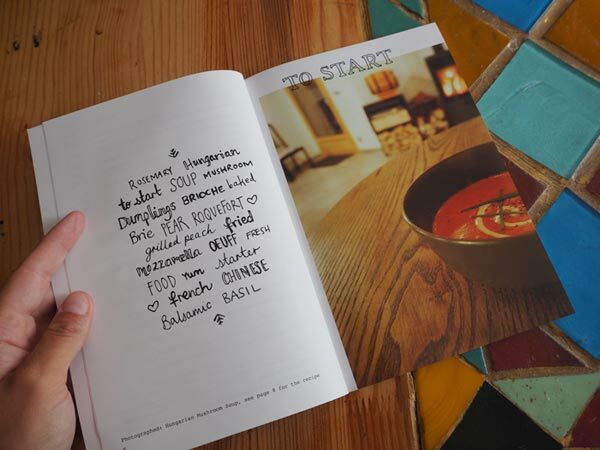 Whitebeam Chalets cookbook gives you all you need to recreate our dishes at home! 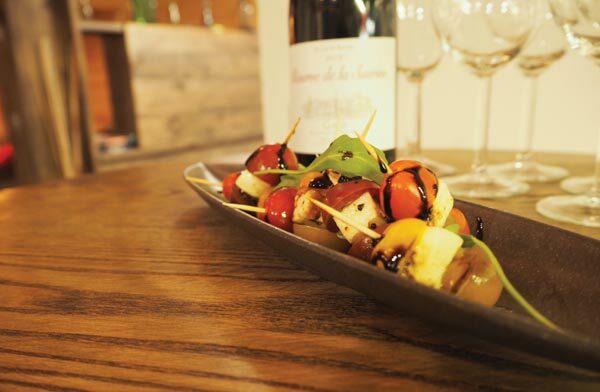 One of the comments we get most frequently at Whitebeam Chalets is how delicious the food we provide is. We pride ourselves on offering our guests the very best cuisine, and we’re always delighted to hear positive feedback. That’s why we put our heads together and came up with a fantastic cookbook to help former guests recreate our delicious Whitebeam dishes back home until the time comes for their next visit! We always try to source the freshest local ingredients available, whether it’s fresh fruit and vegetables, ripe French cheeses, farmhouse meats or locally baked bread. However, most of the ingredients we use are available in British supermarkets, which means you’ll be able to throw together some of our most popular dishes without even going out of your way. Obviously, the fresher the ingredients the better the flavour will be, but we’ve chosen our recipes carefully to ensure that they are as easy to recreate as possible. Email [email protected] to buy one of our special cookbooks. They are £10 each with free delivery. From simple, hearty soups to rich main courses, this cookbook has it all! Whether you’re cooking for your family or putting on a lavish dinner party, you’ll find plenty of scope to wow anyone lucky enough to sample your efforts. While there are plenty of French-inspired dishes within its pages, our cookbook also features dishes from across the globe, including Chinese and Hungarian options. It’s eclectic and delicious! We give our catering staff extensive training before the season starts to ensure that each dish is cooked to perfection, which is why you will undoubtedly have enjoyed the food you had during your stay at Whitebeam Chalets. However, you don’t have to be a gourmet chef to follow our recipes. We’ve picked carefully and presented them as simply as possible to help you produce high-quality food with minimal effort. We can’t guarantee that they’ll taste exactly the same, but we reckon they’ll be pretty yummy even if you’re a bit of a novice in the kitchen. What makes Whitebeam’s meals so tasty? 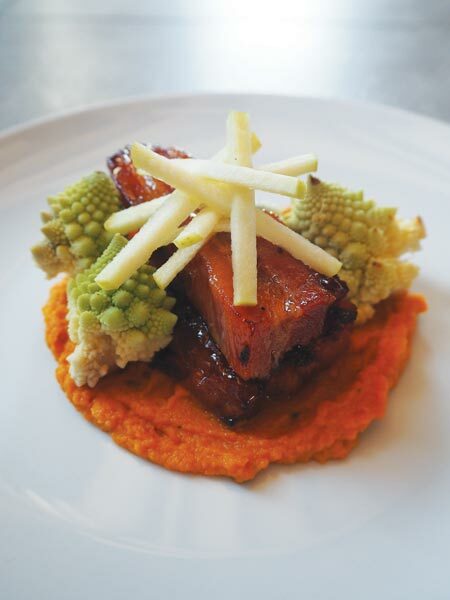 As well as using great chefs and local ingredients, we test out a whole load of flavour combinations ahead of the ski season to give our guests the very best. We also ask visitors for feedback about what they enjoyed most during their stay so that we can constantly adapt and improve. 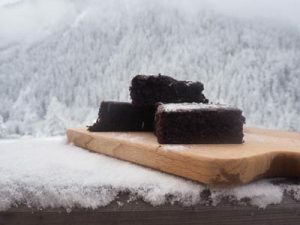 From our sumptuous breakfasts to our home-cooked cakes and delicious evening meals, we really believe we have the edge over other catered ski chalet companies in the French alps. If you don’t believe us, why not pay us a visit or buy one of our cookbooks and try out some of our favourite gastronomic creations before you come to stay? To book your ski holiday at Whitebeam Chalets, email [email protected] or call us on 07801 898635. 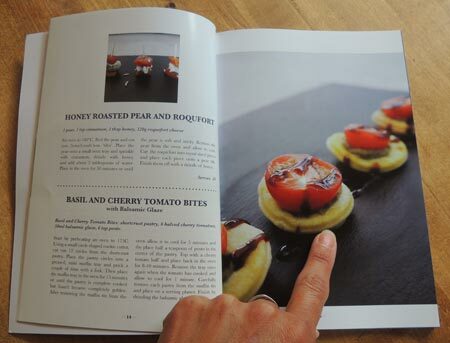 Email [email protected] to buy one of our special cookbooks. They are £10 each with free delivery.